Fantastic new 5-bed and 4-bed detached houses are now available to view as we unveil a new phase of stunning contemporary homes at our new Thornedge development at the heart of the lovely village of Cumwhinton. Both house types include floor coverings throughout, oak finish doors, oak and glass staircases, en-suite bedrooms and integral garages. Patio doors lead to the landscaped gardens which have lawns, terraces, patios and paved areas. Full details of all individual house types can be seen on our website. 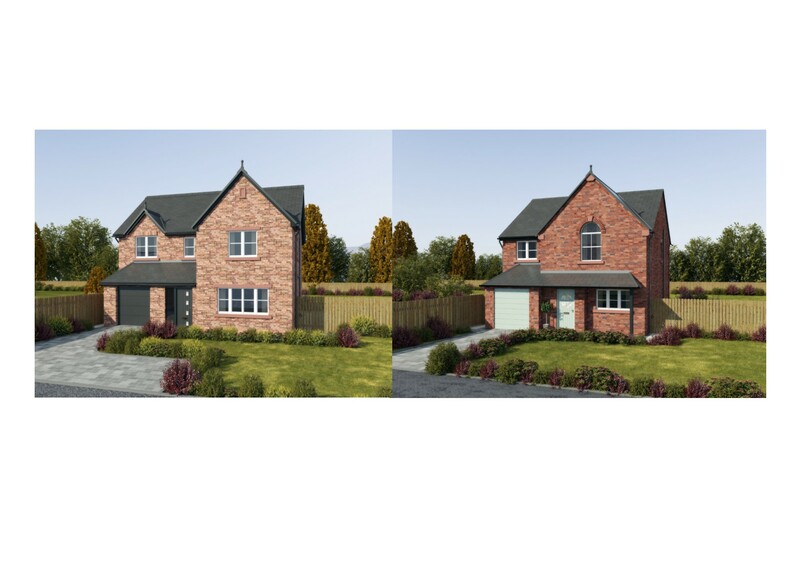 The detached homes are competitively priced with the 4-bedroom house at £335,000 and the five-bedroom house at £399,950. We are holding open events at Thornedge every Saturday and Sunday from 11am to 3pm to showcase the range of of bungalows and houses now being built. The company prides itself on providing excellent customer service, ensuring that a purchaser’s new home meets their aspirations. “We’re happy to demonstrate this in practical ways and are very flexible to customer requirements,” Frank added. “So, for instance, our buyers can choose their tiles, kitchen layout and colours and also electrical points locations if they reserve their home early enough. Magnus Homes has built 27 spacious houses and bungalows at Thornedge, a former farm and stables in Cumwhinton and the latest phase of the development, Thornedge Gardens, features just 8 new homes, all designed and built to a high specification and including 4-bedroom detached dormer-style houses, 3-bedroom detached bungalows and 2-bedroom semi-detached bungalows. For more information about the Thornedge development, contact Sales Manager Ralph Lowe on 07980 268450 or Frank Lowe on 07967 985465 or call the selling agents Cumberland Estate Agents on 01228 403222.